Coffee Grinder Electric – Small & Compact Simple Touch Blade Mill – Automatic Grinding Tool Appliance for Whole Coffee Beans, Spices, Herbs, Pepper, Salt & Nuts – Great Coffee Gift Idea! 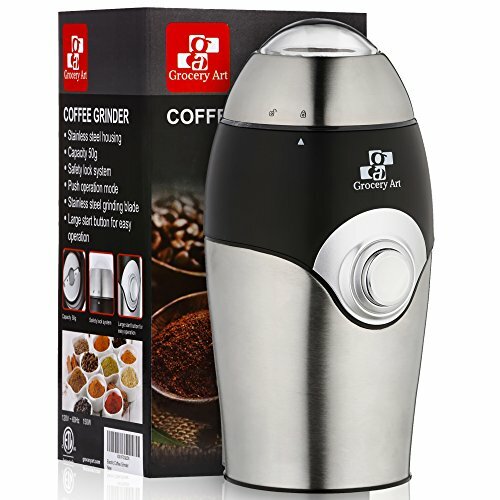 Grocery Art Coffee Grinder Appliance – Safe and Dependable Coffee Accessories for the Smart Java Guru! Fill your cup with the freshest flavors when you grind your beans with the Grocery Art grinder machine. 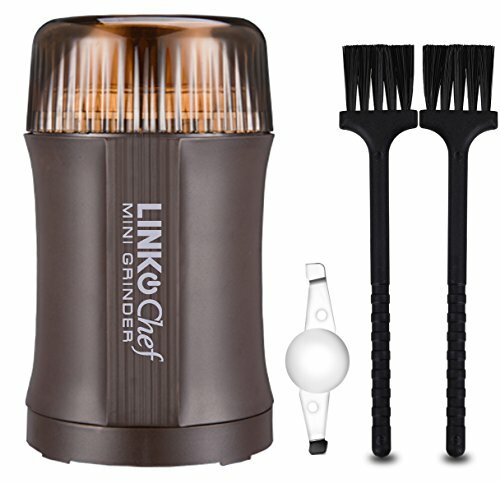 Equipped with strong blades that grind up even the coarsest salt or coffee beans, this all-in-one grinding machine can be used as a grinder for herb, an electric pepper grinder or even as a nut grinder for cooking. 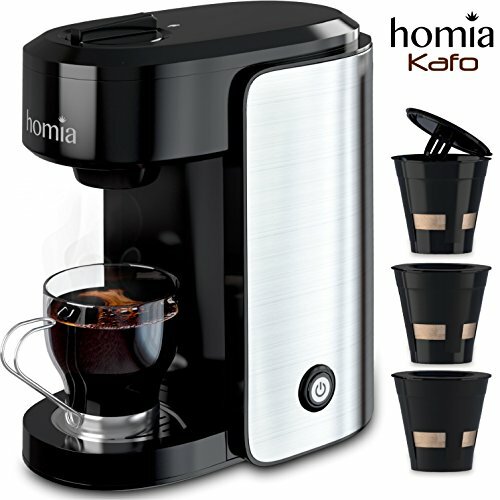 The innovative design of our electric coffee grinder provides it with the ability to deliver grinds in no time. 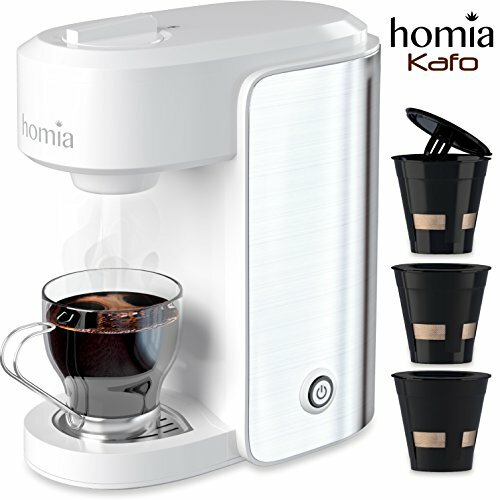 In just 20 seconds or less, your coffee grounds, salt grounds or herb grounds will be ready to go! No more fussing and fumbling around with a clunky grinder that takes forever to produce a proper grind. 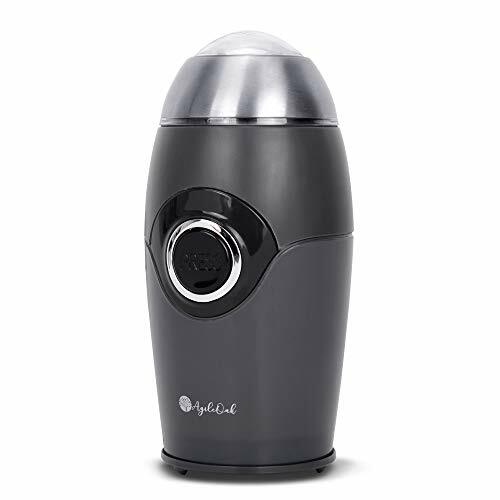 Small enough to sit on your countertop without taking up too much room, this space-saving coffee grinder is ideal for kitchens of all sizes. 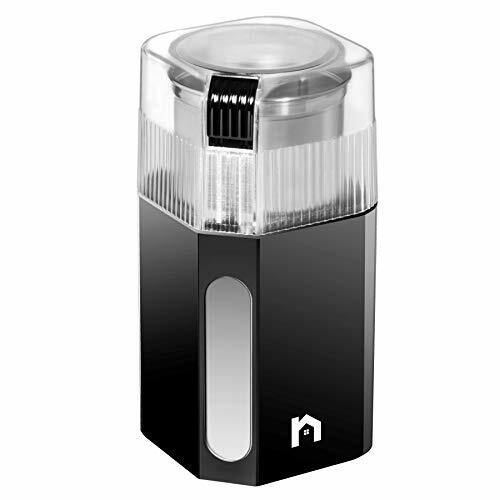 It’s the best electric spice grinder to have around when spicing dishes with herbs and spices such as Sea Salt, whole peppercorns, nutmeg, parsley, cinnamon and dried sage. Grinding whole spices and herbs is the best way to ensure all of the flavors are fresh and robust! Home chefs looking to save time when whipping up culinary creations & those who enjoy brewing their own coffee turn to our grinder tool because it delivers maximum convenience. 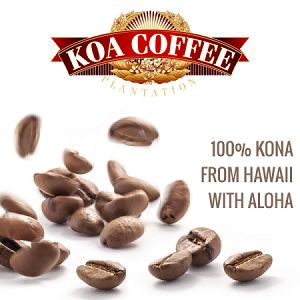 What other coffee bean grinder works as fast and as efficiently as ours? We don’t mean to brag but it’s the best one around! Scroll up and click “Add to Cart” for your perfect Coffee Grinder tool. ✅ RAPID GRINDING: Designed to grind whole coffee beans to perfection in a matter of just 20 seconds or less & with the simple touch of a button, our electric coffee grinder effortlessly beats its competition. 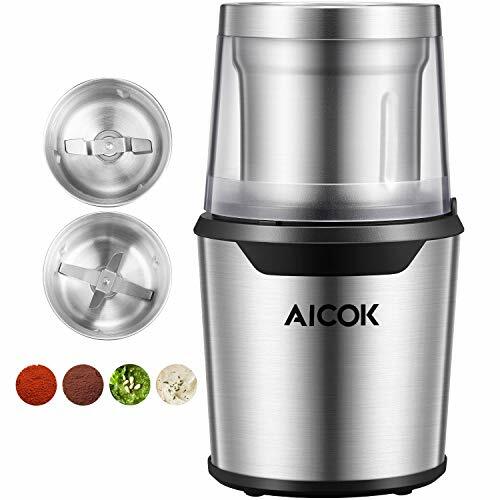 ✅ MULTIPURPOSE: Use the small counter top grinding machine as an herb grinder in the kitchen, a nut grinder, a pepper grinder, a salt grinder or an all purpose spice grinder. ✅ DURABLY SAFE: Made out of premium materials & outfitted with hidden grinding blades, the grinder machine safely grinds with impressive speed. It’s the safest & strongest grinder tool available! ✅ EASY TO CLEAN: Complete with a domed compartment that intercepts fine grinds, the no-mess coffee grinder is also unbelievably clean. Simply wipe it down with a damp cloth to keep it free of debris. 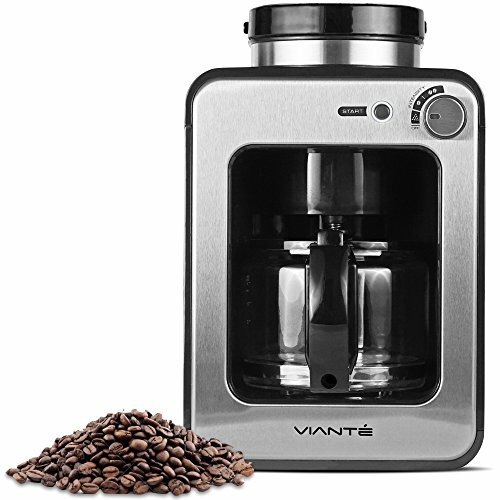 ✅ #1 COFFEE GIFT: Fresh grounds from whole beans are key to a flavorful cup, which is why the Grocery Art automatic coffee grinder makes a fantastic gift idea for coffee lovers & espresso sippers!